There is a fragrant air about the concerts of old music that the Misses Chaplin give… But the romantic appeal of the old instruments and the old manner of presenting music does not banish scholarly accuracy on the one hand nor more specifically musical pleasure on the other. This Times reviewer, writing in October 1927, exposes a tension between scholarship and entertainment in the Chaplins’ presentation of early music. First, the programmes needed popular appeal and had to be performable rather than historically accurate in every detail; second, musicology was a relatively young field, and much academic knowledge that musicians take for granted today simply wasn’t accessible. Although so many of Nellie’s events sailed under the flag of “ancient dances and music”, they occasionally included new or contemporary works based on old tunes or poems alongside works by Byrd, Morley or Purcell. Several examples appear in the records of the Oriana Madrigal Society, founded in 1904 to promote the performance of Elizabethan music. As well as the April 1916 concert mentioned here, on 19 December of that year, the Chaplin String Quartet plus a singer and oboist gave the first performance of Holst’s Four Old English Carols; while on 10–12 April 1919, a three-part concert illustrating “music and dance in Shakespeare’s time” included the first performances of Balfour Gardiner’s settings of two early English songs. 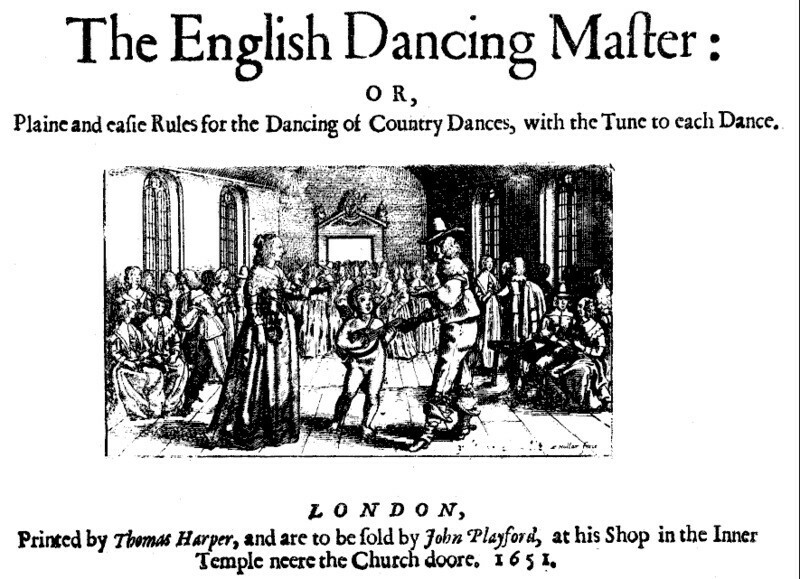 Although the dances were mostly arranged by others, Nellie published three books on English dances. In 1909 the Curwen Press published her Ancient Dances and Music, a selection of six Playford dances, which went into further editions. In 1911 it published her Court Dances and Others: An invaluable guide to the manners and protocols of the dance floor with step guides and musical score for amongst others the Pavane, the Irish Jig and the Chacone, also from Playford. 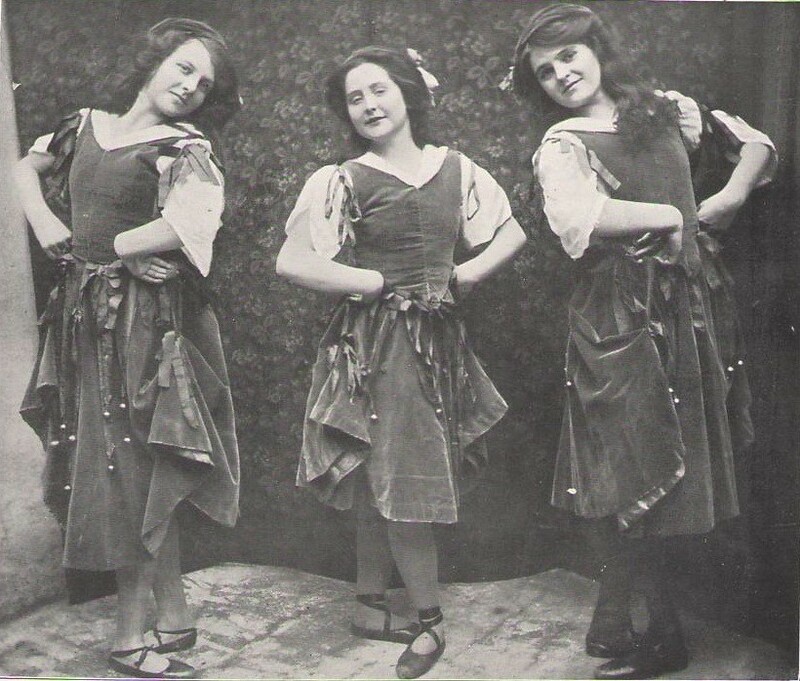 And 1913 saw the publication of a small book containing a minuet arranged by Carlo Coppi to music by Philip Hayes, and a gavotte arranged by Lucia Cormani (the teacher of her niece, Dorothy) to music by Thomas Arne, both dances “as arranged for Nellie Chaplin’s revival of Ancient Dances and Music at the Royal Albert Hall Theatre in 1904”. The Chaplins’ approach to early music could not be described as purist, rather as populist and “period”. Nellie was not a scholar like Edmund Fellowes or the editors of the Fitzwilliam Virginal Book; but she was exploring something new, inspired by a sincere desire to widen the range of pre-Classical music and dance available to the early twentieth-century public. I think I am justified in claiming the right of priority in reviving the Allemande, Courante, Sarabande, Chaconne. Canaries, Rigaudon, Passepied, Tambourin, Bourrée, Forlana, and the Galliard and Tourdion. 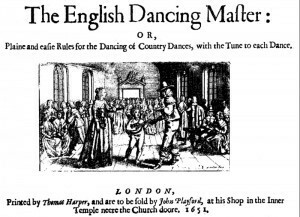 This work became important to the English folk dance and song revival movement spearheaded by Mary Neal, Clive Carey, and Cecil Sharp. Teaching was a large part of the professional lives of Nellie and her sisters. All three are described as teachers in the national census of 1911 and their teaching activities are mentioned from time to time in the records we have of them. Nellie opened her own Pianoforte Foundation School as early as 1893 and by 1907 ran a school of early and country dancing in London, as the newspaper advertisement on the right shows. She was also always ready with information about the harpsichord: in her 1922 article she writes that audience members very often came up to her after performances of The Beggar’s Opera to ask about the instrument, its mechanism, history, and playing technique. In 1911 she gave daily demonstrations of the harpsichord at a weeklong exhibition of modern and early keyboards, and over her long career provided the musical illustrations for many lecture-recitals on subjects such as the evolution of the piano and the Couperin family.